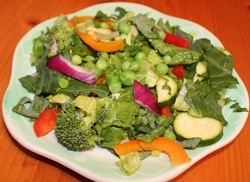 A fresh and fabulous summertime salad that is very high in Vitamin C. If you don't have fresh peas use snow peas instead. This is a favorite way to use the great spring and summer vegetables available. Fill a medium size saucepan halfway with water. Bring water to a simmer, add peas and cook 30-45 seconds. Peas should just be tender. Strain peas, place under cold water to stop the cooking process, drain. 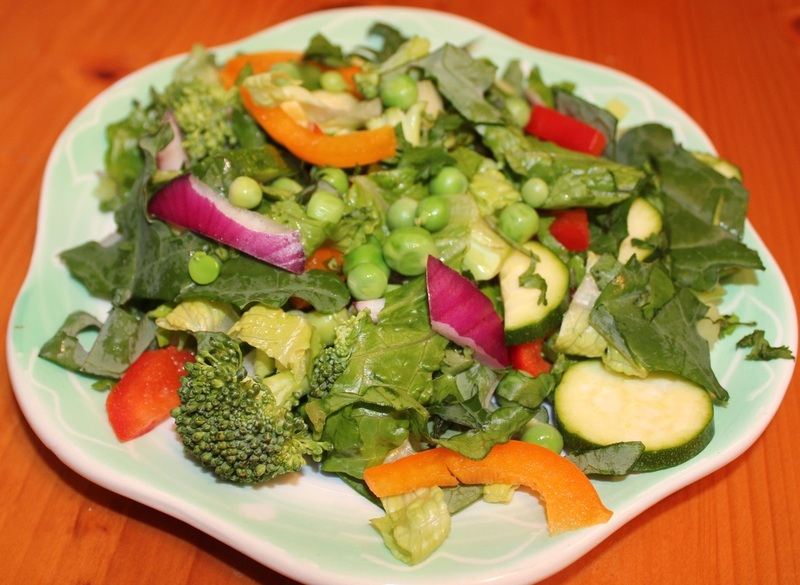 In a large salad bowl, mix lettuce, peas, bell pepper, onion, broccoli, zucchini and herbs. In a small bowl mix the orange juice, lime juice, dijon mustard and honey. Drizzle dressing on top of salad and toss well. As with any salad dressing, you can also serve it on the side.